JML Direct TV is a generic name for a series of British shopping channels broadcasting on the Sky, Freesat and Freeview platforms, owned by JML Direct Limited. Home Store is another spinoff channel from JML Direct. It launched on 1 May 2013 as The Boutique, replacing JML Living. It was rebranded as Home Store on 1 August 2014. 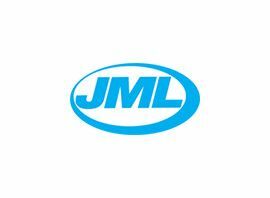 JML Store is a spin-off channel owned by ITV Digital Channels Ltd and ITV plc; and also owned by JML Direct. It originally launched on 14 November 2011 as The Zone on Freeview channel 39, but was not available in Wales until 9 January 2012. On 27 April 2012, The Store with JML launched on ITV. Dubbed a "chatmercial", it combines the visual language and style of a chat show format with TV home shopping and is shot in front of a studio audience. It broadcasts across ITV´s late night two hour retail teleshopping schedule on Sundays, and overnight on ITV4 It is a presenter-led show and has interaction with a panel of experts. It is split up into bite-sized chunks which focus on one product every 15 minutes. The Store launched as a stand-alone channel in partnership with JML on Tuesday 1 October 2013, broadcasting 24 hours a day on satellite, and between 6pm and 6am on Freeview, replacing "The Zone". The slots on all platforms, except Freeview reverted back to JML, and renamed as JML Store on 1 August 2014. The slot on Freeview remains named as "The Store", with Jackpot 247 broadcasting every night, followed by Teleshopping.